We are on a quest to film our first real longboard video and have been searching for the perfect spots all around Orange County. We got lucky finding this spot because it was already waxed and ready to go. It’s the perfect longboard grind because you can ride grind up it and fall off the back side easily. We just starting to film last month and have about 20 clips so far but it’s going good considering we can only film on the weekends because we have to ship out boards all week. The video will hopefully be ready in a couple of months and be about 10 minutes long or so. 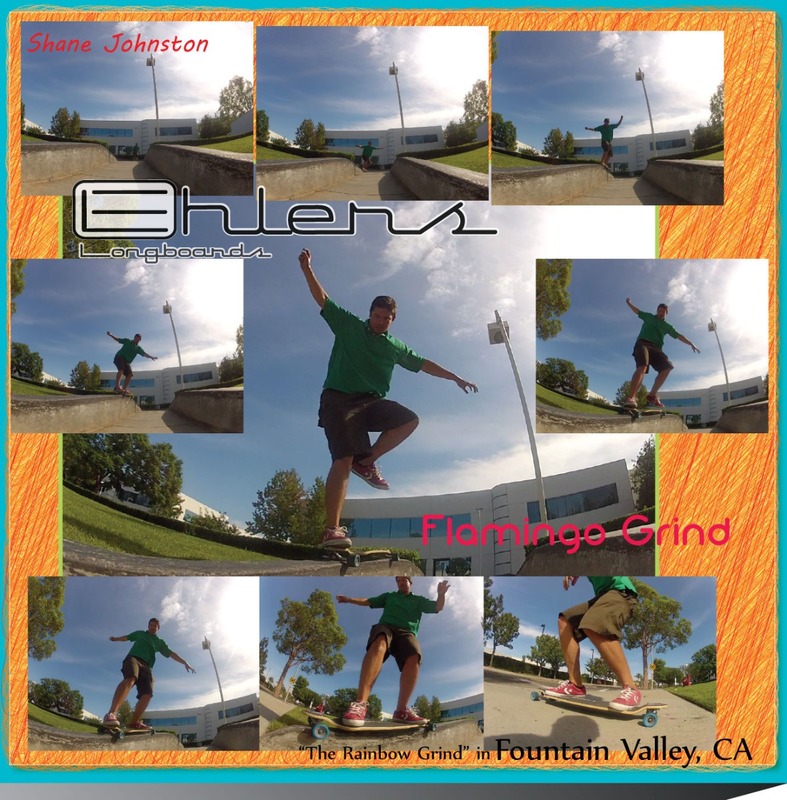 This is Shane Johnston doing the ride-grind to flamingo grind at the rainbow grind in Fountain Valley, California last weekend. We call it the rainbow grind because the curb arcs like a rainbow. He had to go almost full speed to get over the upward arc. He’s skating the drop down drop through series. We found a down hill gem the other day while exploring the Newport Coast's back hills. We randomly drove up to the city water facility and low and behold we got lucky finding this perfect slider hill. The ground was actually perfect. We shot some footage with the new gopro2 and it came out pretty good. Here's a photo of the hill.